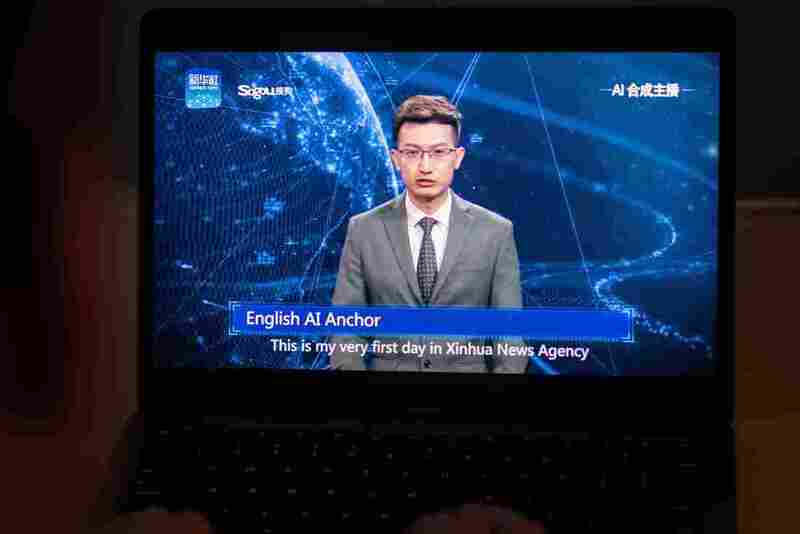 AI News Anchor Makes Debut In China "This is my very first day at Xinhua News Agency," says a sharply dressed artificial intelligence news anchor. "I look forward to bringing you the brand new news experiences." China's Xinhua News Agency has introduced an artificial intelligence news anchor. China's Xinhua News Agency has billed the technology as the "world's first artificial intelligence (AI) news anchor," unveiled at the World Internet Conference in China's Zhejiang province. The AI anchor was produced with "facial landmark localization" and "face reconstruction," according to China Daily. As the BBC notes, it "appears that photo-like facial features have been applied to a body template and animated." It was designed jointly with the Chinese search engine company Sogou.com. Reuters reports that there's another version of the AI anchor, modeled on real anchor Qiu Hao. The wire service added that Sogou staff "said it wasn't clear when the technology would actually go into use." Xinhua points to what it sees as certain advantages of an AI anchor, saying it "can work 24 hours a day on its official website and various social media platforms, reducing news production costs and improving efficiency." South China Morning Post suggests it could save networks money in news anchor salaries, and even "one day challenge the human variety." But some experts are skeptical about the kind of news-watching experience an AI news anchor offers. "It's quite difficult to watch for more than a few minutes. It's very flat, very single-paced, it's not got rhythm, pace or emphasis," Michael Wooldridge from the University of Oxford told the BBC. And compared to a trusted human news anchor, he says that "if you're just looking at animation you've completely lost that connection to an anchor." The news is amusing some actual news presenters — BBC's Simon McCoy burst out laughing while reading that Xinhua claimed its AI anchor was just as natural as a human one. And of course, as The Washington Post notes, an AI anchor is "devoid of decision making and processing skills and cannot offer the emotional element given by a real journalist." Artificial intelligence technology is becoming more commonly used by news organizations. For example, the Post has used a bot system called Heliograf to automatically write text that humans can add to for breaking news events such as elections and the Olympics.